HOME /Blog /Which UGears sets are the best to start from? Which UGears sets are the best to start from? 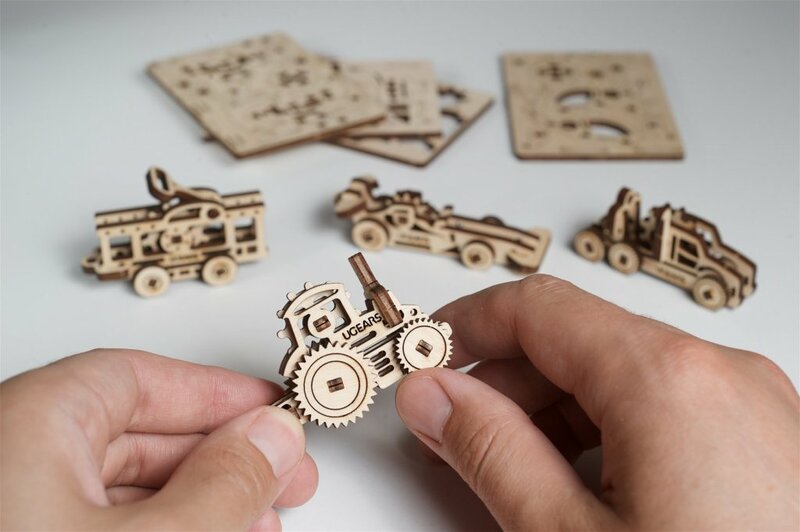 If you are new to the world of UGears wooden mechanical puzzles and are considering to purchase your first model it is important to keep a few key points in mind. Before making a decision to choose a particular item we recommend that you learn the basic principles of the design and the assembly of UGears models. Here we offer some guidelines and useful tips about selecting your very first UGears mechanical set. Start from the basics, study the assembly instructions. Even if you chose one of the easier and less sophisticated models with only a couple of dozens of pieces, we recommend that you study the assembly instructions first. 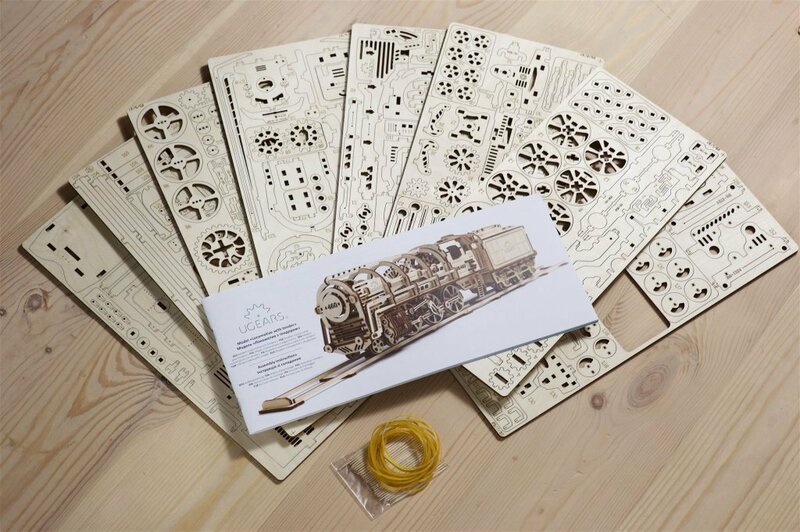 The instructions were developed and written by UGears models’ designers and engineers for good reasons. They describe the preparation process and outline the steps of the assembly in great detail. It is important not to rush through the reading the instructions and follow them precisely in order to avoid any possible accidental damages to the parts. Additionally, take these tips seriously as in a process you will find them extremely helpful in solving some of the complex assembly issues. The base principle of connecting the parts. As you may already know, one of the key principles of UGears models is that the assembly requires the use of no glue. The parts can be connected just like pieces of a jigsaw puzzle or with the use of toothpick-like wooden connectors. If you follow all the instructions correctly both types of connection will provide for a strong sturdy hold of the parts. In case the parts connection is not going smoothly, we recommend using wax from the standard household candle as a lubricant. The wax will reduce traction even of the toughest connections and make the assembly smooth and effortless. Not of the less importance is an extraction of the of the pre-cut pieces from wooden boards. In the event some of the pieces don’t snap out of the board easily, use a letter opener of a box cutter to carefully detach the part from the board. To prevent work surface from possible damage, place a cutting board or a piece of cardboard underneath the wooden board. Which models are the best to use for learning the base principles of UGears 3-d puzzles. And finally, we came to the point of the selection your first Ugears model itself. First, we strongly recommend starting from the easier sets, like UGears U-Fidget Tribiks for example. Each of four miniature toys in this set consists of only 15-18 pieces and will require about 10 minutes for assembly. Nonetheless, even such simple process will help you to understand the logistics behind the parts connections. Next, we recommend moving onto the more complex models, such as a 50-piece UGears Dynamometer. Once you master your assembly skills and get a hand on following the assembly instructions, its time to move on to the complicated models with a rubber-band mechanism that require a separate assembly itself. 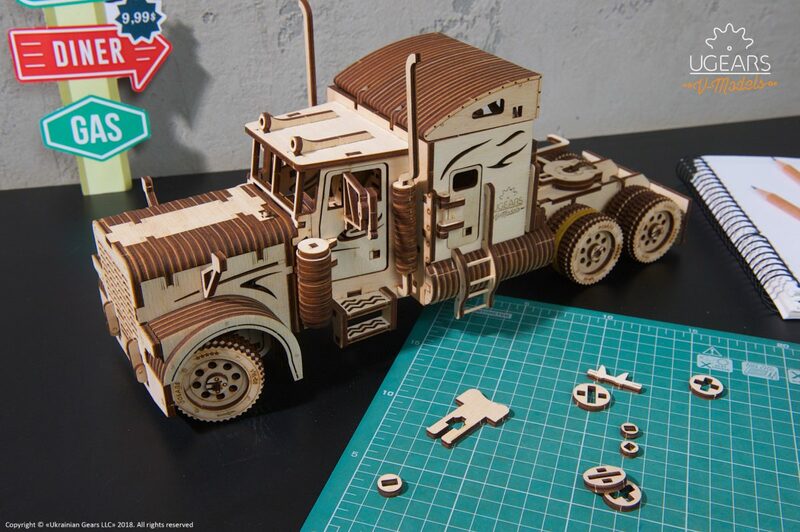 It’s best to start from models like a 97-piece Tractor that features an internal rubber-band mechanism. Once you master the assembly of the Tractor, it is safe to take on any set of a higher complexity like UGears Aviator. To check the entire selection of our 3-d mechanical sets and models and to place an order visit our online catalog! What to do if a rubber-band mechanism breaks?